Many of the most memorable moments in Home Alone took place inside the McCallister home. Join us for a trip down memory lane as we explore one of America’s most famous homes and look at a few homes on coldwellbanker.com that look just like it! A young writer jotted down an idea for a movie on a napkin before he went on a holiday vacation to Europe, and the rest is history. The result of that fateful idea jotted down in Don Draper fashion is he gave us “Home Alone” – a movie that has become a part of holiday tradition and pop-culture lore. There are so many star-making performances and memorable one-liners from the movie: From Joe Pesci getting hit with the paint can, to Daniel Stern’s hilarious yell when he saw the tarantula, to Macaulay Culkin’s, “you guys give up, or you thirsty for more” – we can all pretty much quote the movie line for line. As the highest grossing comedy of all-time turns 25 today, the enduring star of the film without a doubt has to be the McCallister home. From the staircase where Kevin sledded out the front door, to the large island in the kitchen where the entire McCallister clan came together to share delicious cheese pizzas, to the bathroom where Kevin put aftershave on – the most iconic moments in Home Alone mostly all involve the home. Back in 2011, we were lucky enough to have the then owners of the Home Alone house give us an unprecedented look inside the home as they shared stories about what it was like when the movie was being made there. The home was every bit as lovely as it was when Kevin was left Home Alone there, let’s take a look again! How awesome would it be to own a piece of movie history?! 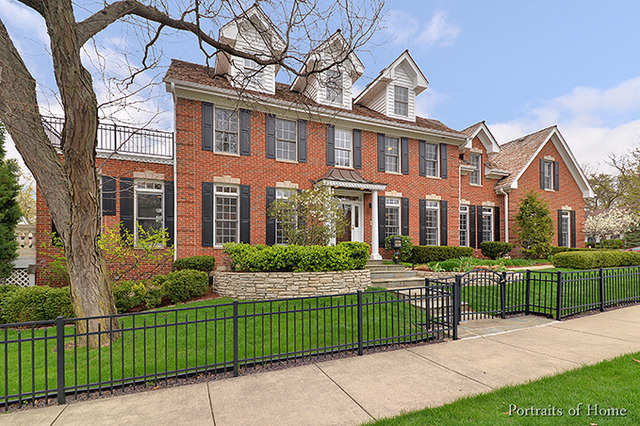 The Home Alone home sold a few years ago but luckily for us there are a few on coldwellbanker.com that look a lot like the famous red brick colonial from the movie. Let’s take a look at four of our favorites! This gorgeous 6 bedroom home is actually a stone’s throw away from the actual home featured in the movie! 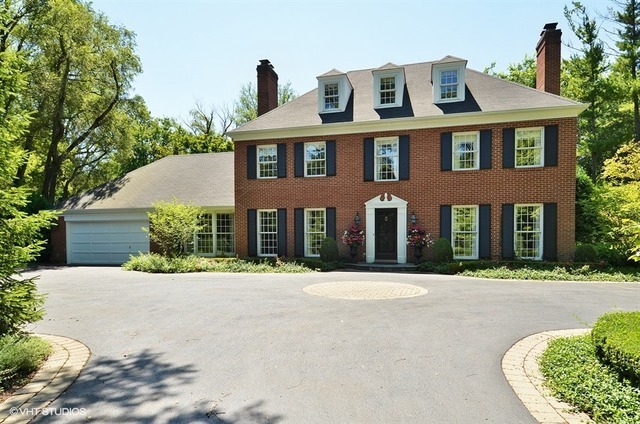 The colonial set on 3/4 of an acre is fully renovated and features more than enough space to plant your own Kevin McCallister’esque boobie traps. This gorgeous brick home was extensively remodeled in 2001, but it retains all of its warmth and charm. The white frame around the front door and the shutters on the windows are remarkably similar to the ones on the original Home Alone home. This newer all brick construction is also right by the original home! The move-in ready home sports an exceptional open, circular floor plan, hard wood floors and custom millwork throughout. I’m also guessing its right by a supermarket where you can purchase some toothpaste approved by the American Dental Association. This spacious retreat offers up 6 bedrooms and 5 full bathrooms of amazingness. Those large front windows would be perfect for placing those Christmas tree ornaments on the floor, or staging faux holiday parties. We hope you’ve enjoyed this trip down memory lane! Now go order some fresh cheese pizza, possibly a massive chocolate sundae and celebrate the 25th anniversary of Home Alone by watching the movie in your own special spaces!